It’s Friday afternoon as of of now Prospect Park has yet to make the anticipated announcement regarding the future of both All My Children and One Life To Live. There has been speculation that an official announcement is coming today that brings fans the news that they absolutely don’t want to hear – that the plug has permanently been pulled on both shows. According to a source at Soap Opera Central a Prospect Park employee has confirmed that they were informed on Wednesday that production on both shows is permanently over. Soap fans rallied hard to bring back both AMC and OLTL after ABC canceled them both back in 2011. Prospect Park was the best bet and managed to revive both through their Online Network and Hulu for a few months. The fan investment never equaled what network television garnered and so both shows were in trouble from the start. ABC was also allowed to borrow characters from both shows but upon doing so began killing them off! As OLTL writers’ were penning story lines those same characters were killed off in a crossover scene on General Hospital. This caused a huge lawsuit that has yet to be settled. As the numbers tanked and the lawsuit upheaval grew Prospect Park decided to shelve OLTL back in August. In the mean time there have been two production dates for ABC to begin filming again but both have been canceled. The actors and fans have sat in limbo for a few months now and supposedly today there will be a decision regarding the fate of both shows announced. It’s obviously not looking good and from the outside looking in, rebooting both shows was a great idea in theory but it hasn’t panned out realistically. Do you think that Prospect Park is going to admit defeat and announce that both shows are finished? Tell us your thoughts in the comments below! 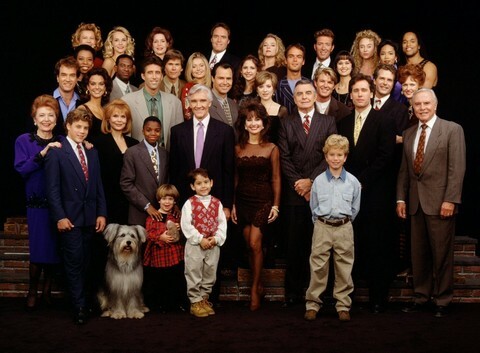 GLOBE Helps Secures Victory for Soap Fans: All My Children and One Life To Live Return! All My Children and One Life to Live Might Be Cancelled – Broadcasting Changes Announced! ‘One Life to Live’ and ‘All my Children’ to get New Writers — These Stories are Getting a Makeover! Hope For All My Children Revival as Susan Lucci Approached!